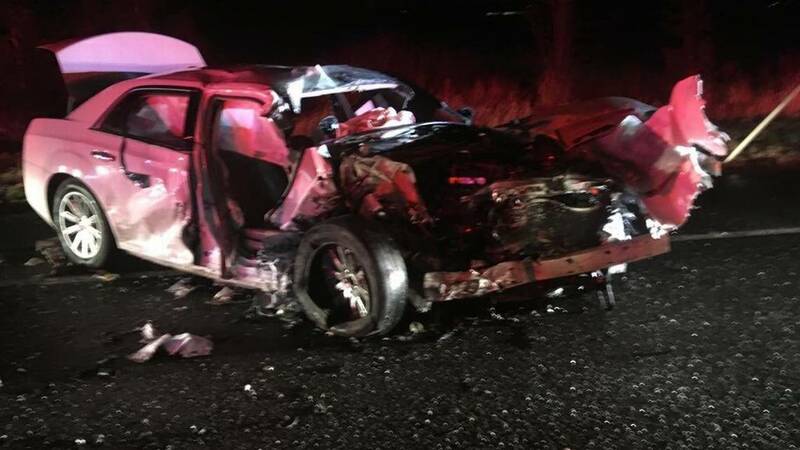 The Washington State Patrol says three people were taken to the hospital following a violent two-car collision late Tuesday south of Sumas. A 25-year-old Everson man is suspected to be the at-fault driver. Police say he drifted into the oncoming lane of Easterbrook Road near Morgan Road, colliding with another vehicle at a “high rate of speed.” The two passengers – a 47-year-old Sumas woman and a 16-year-old Sumas boy – were both injured. All three were transported by ambulance to St. Joseph hospital in Bellingham. It took the fire department about 20 minutes to extricate the boy from the wreckage. The at-fault driver, who wasn’t wearing a seatbelt, was thrown from his car. He is suspected of being under the influence of both drugs and alcohol in the wreck. Both the boy and the at-fault driver were flown to Harborview Medical Center in Seattle. Both remained in critical condition the following day in the intensive care unit. The 47-year-old was treated for a broken ankle at St. Joseph and released. The at-fault driver is suspected of being involved in a different hit-and-run incident in a Bob’s Burgers and Brew parking lot just before the injury collision. Drivers who choose to get behind the wheel while under the influence of prescribed medications or illegal substances are putting their lives and the lives of others at risk. Many drugs have side effects that can alter the brain’s normal function and motor skills, making driving a dangerous activity. There is a countless number of substances that have risks associated with them. Stimulants such as cocaine can cause erratic driving, while marijuana may cause slow reaction time and worsen judgment. Even drugs that have been prescribed by a doctor have bad side effects. Ask your doctor if it’s safe to get behind the wheel on your medication. Unlike drunk drivers – who can be given a simple roadside test to determine blood alcohol content (BAC) – pointing out a drugged driver isn’t as easy. Many states are developing drugged driving programs for police officers to help them detect the warning signs. If you or someone you know was injured by a drugged or drunk driver in Washington State, contact attorney Chris Davis and the legal team at Davis Law Group, P.S., for help. 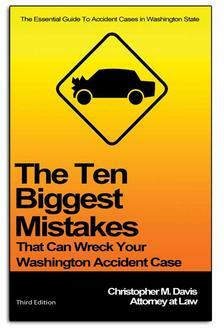 Our attorneys are dedicated to helping accident victims get all the compensation they deserve. To learn more about your legal rights and receive a free case evaluation, call (206) 727-4000, use the chat feature below or fill out the form on this page.